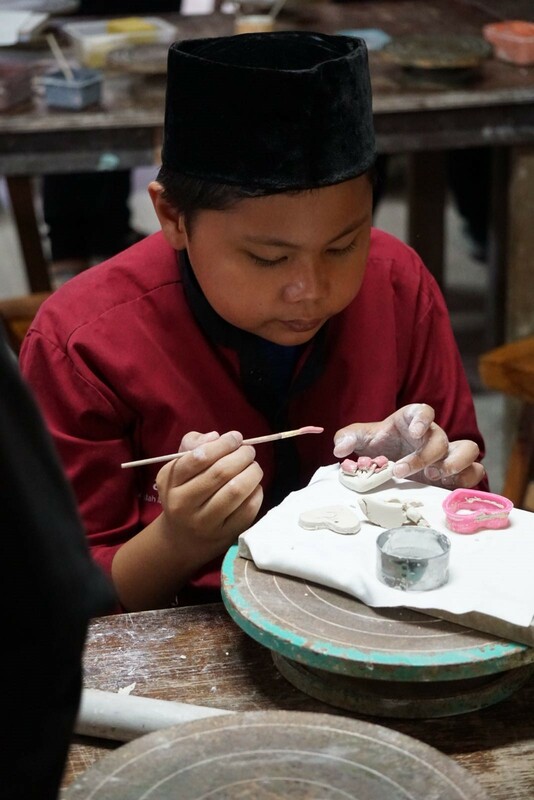 At Al-Islah Mosque, we strive to provide a holistic and integrated learning of the aLIVE syllabus. 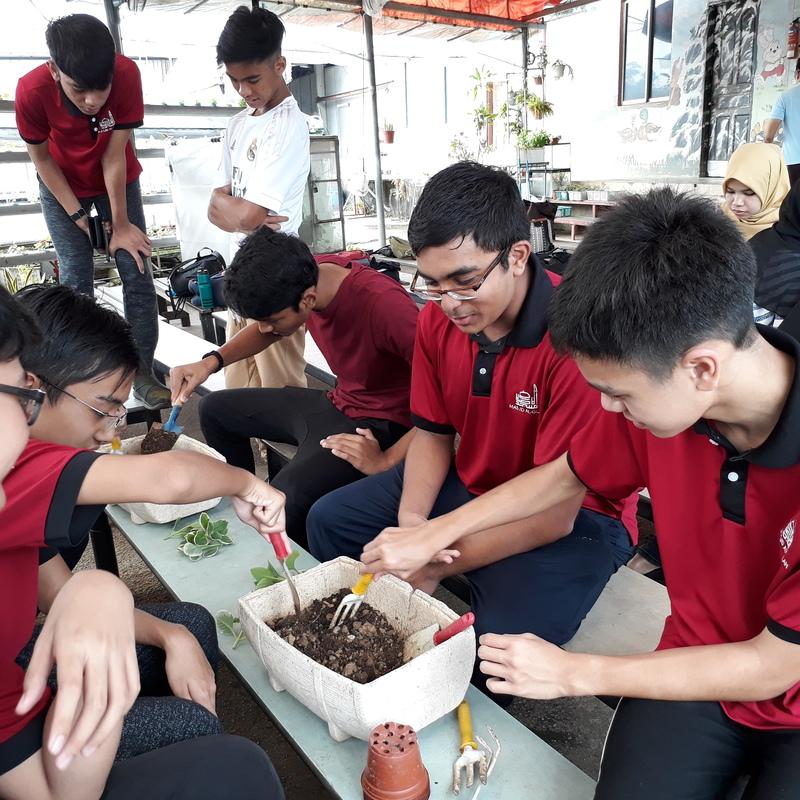 The programmes are made relevant according to the development of kids, tweens, teens and youth. 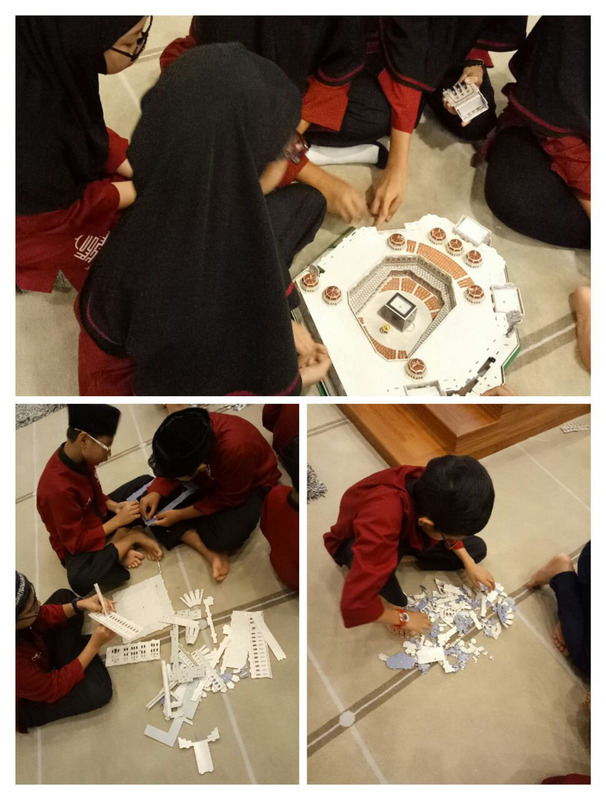 It is designed to inspire students to continue learning and practice Islamic values every day. Additionally, the use of IT through videos as well as presentations will be pervasively used to enhance your child’s learning experience. 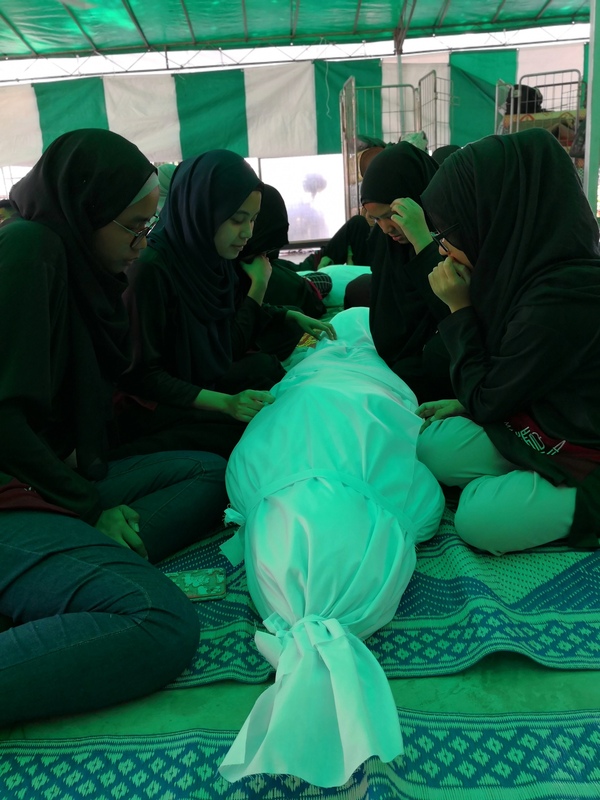 The aLIVE Education here will be guided by our dedicated group of Asatizah. 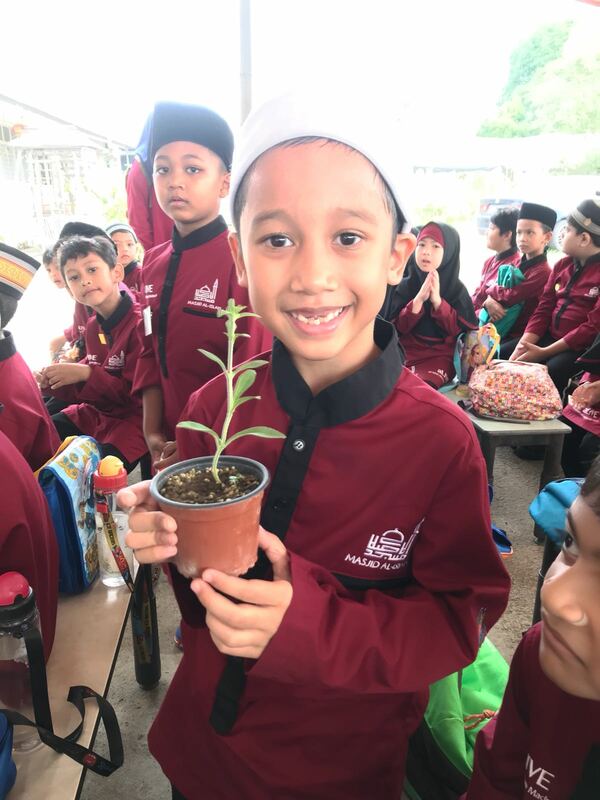 They will not only focus on each and every child but will mentor and support your child’s development and achievement as well as to encourage your child to overcome their shortcomings in accordance to Islamic teaching. 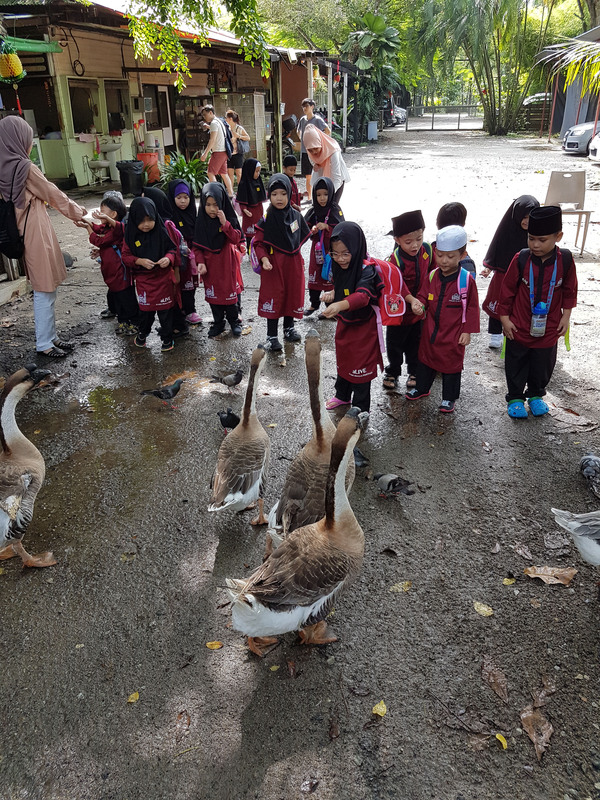 In short, we strive to create appropriate, meaningful and participative learning situations, inculcating our Prophet's ethics into the children's lives. Come and join us here in developing our future Khalifah. You may obtain the form and sign up at our Main Counter. You will receive a letter on the status of your GIRO application within one month. All forms need to be submitted latest by 31st January 2019. 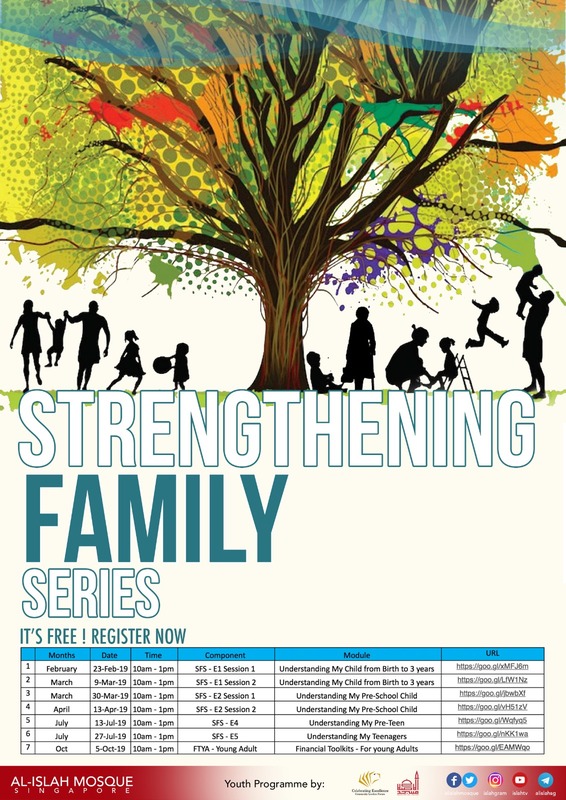 For families from a household of monthly Per Capita Income (PCI) of $0-500. 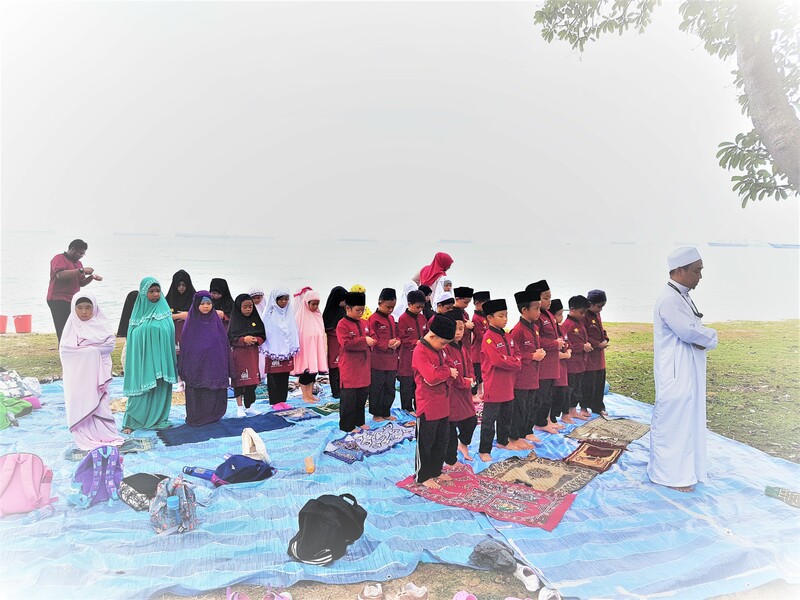 For families from a household of monthly Per Capita Income (PCI) of $501-750 and with 2 or more children in mosque madrasah. 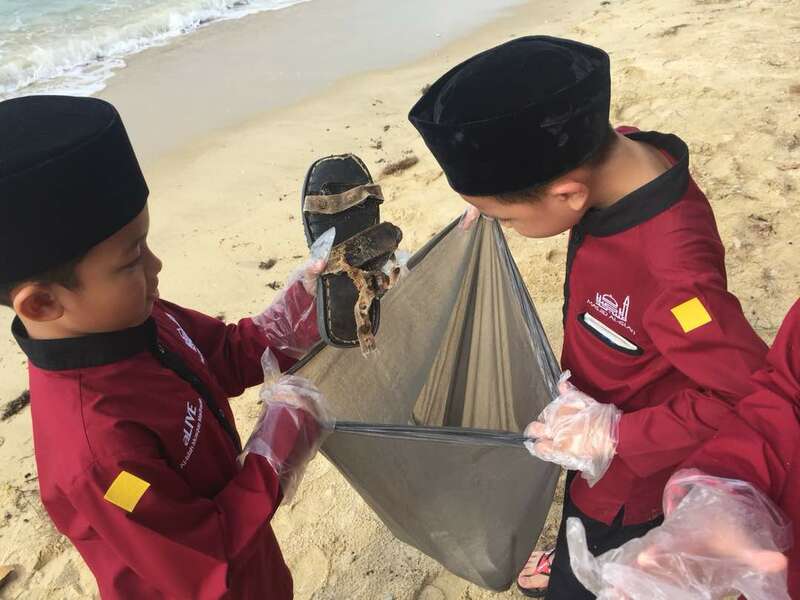 Come and join us this holiday as we embark on some exciting and informative programmes for our young ones! 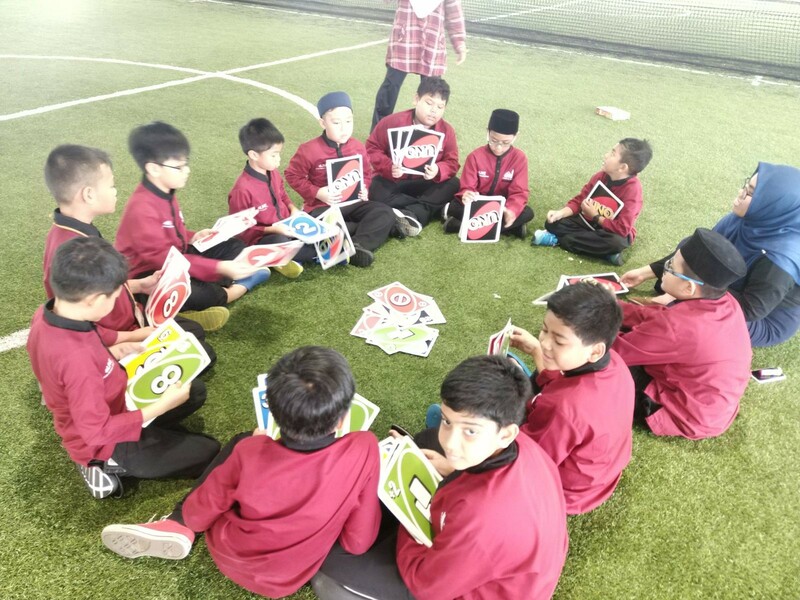 Our programmes are designed to hone your child's daily Islamic practices as well as ignite their senses, imagination and creativity. Islam expects humankind to treat all animals with respect and dignity. 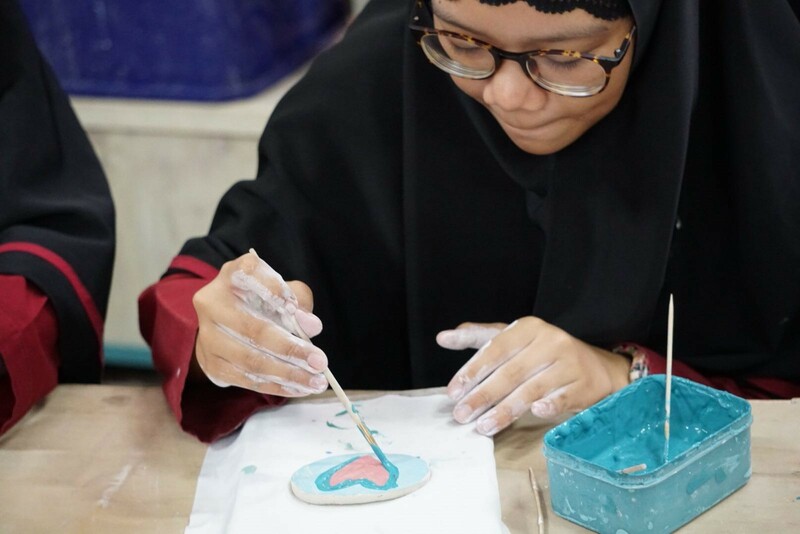 Participants will learn about Prophet Muhammad’s kindness towards animals and as well be introducing to the basic techniques of pinching, coiling and hollowing with Clay Art. 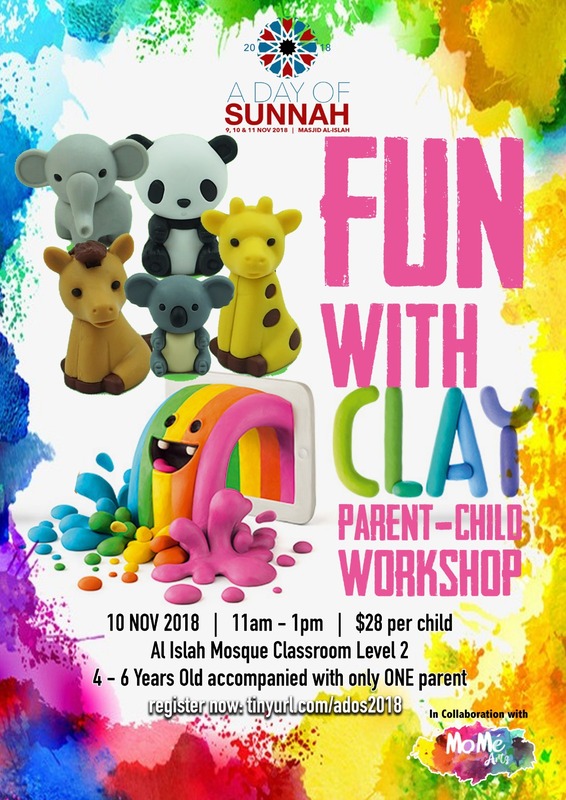 Participants will have lots of fun fiddling around that little lump of clay and transforming it into whatever animals they wish to express. The content will be on the basic of understanding the Arabic letters in single form or jointed. 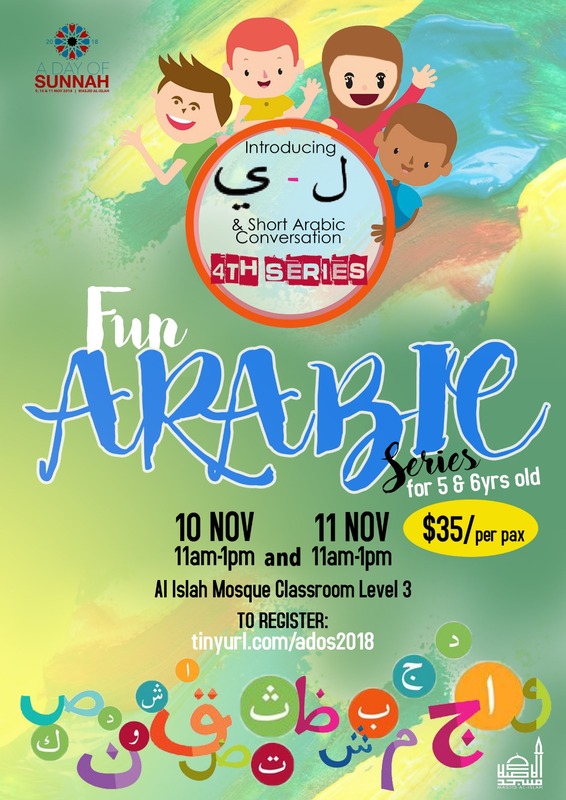 Besides that, they will also learn the Arabic vocabulary for numbering, colouring, body parts and basic conversation as well as some basic Arabic words. 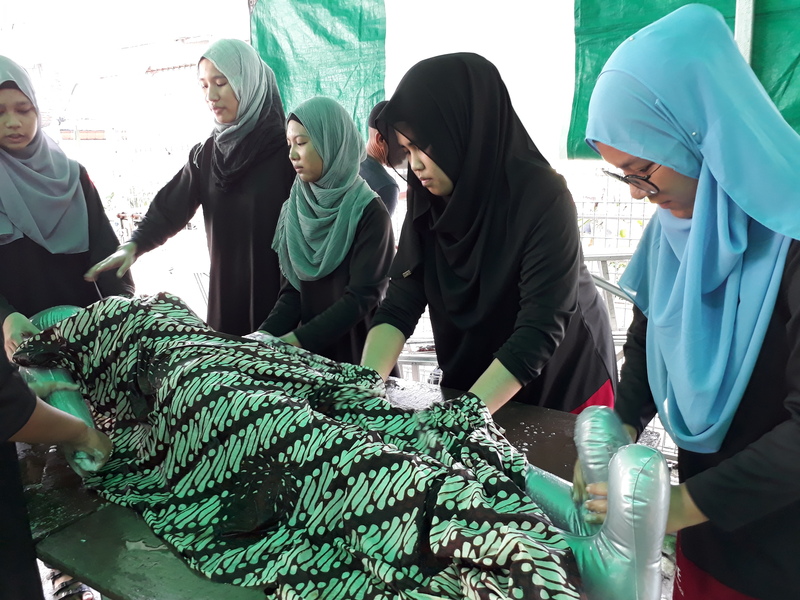 Participants will learn about the migration story of Rasulullah s.a.w. and His companions from Makkah to Madinah at night. 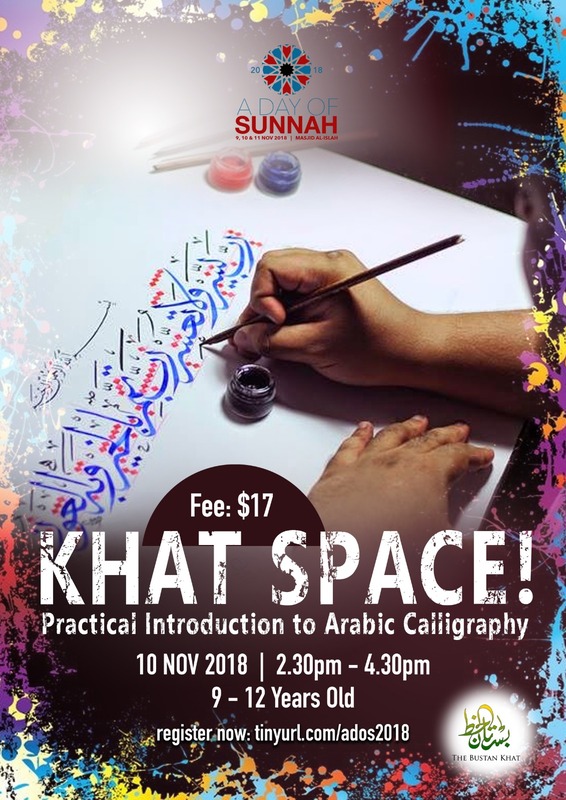 1-Identify the different types of traditional fonts and their chronological history.2-Understand the ergonomics of the wooden pen.3-Assemble a simple artwork from a standard procedure that is used by calligraphers. Participants will learn how to eat like The Genius Rasulullah and the importance of eating 3 times in a day. 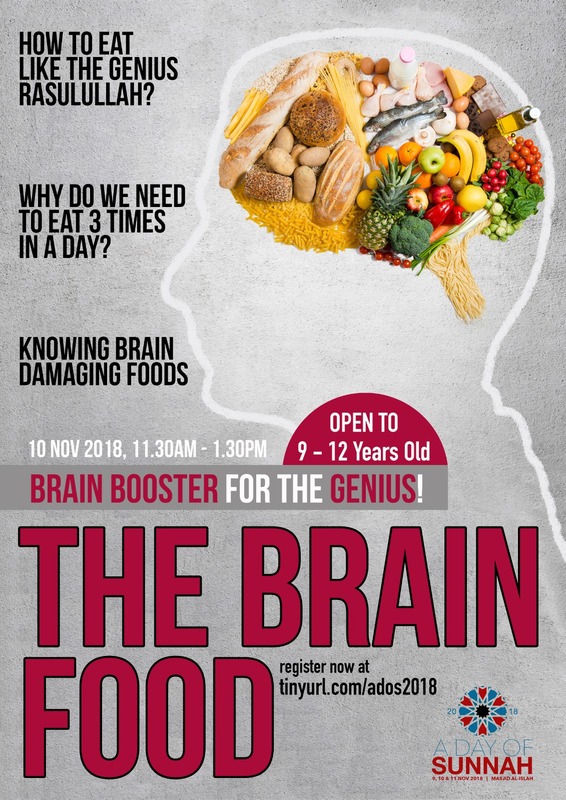 They will too learn about brain damaging foods, healthy eating habits and the best food for their age. 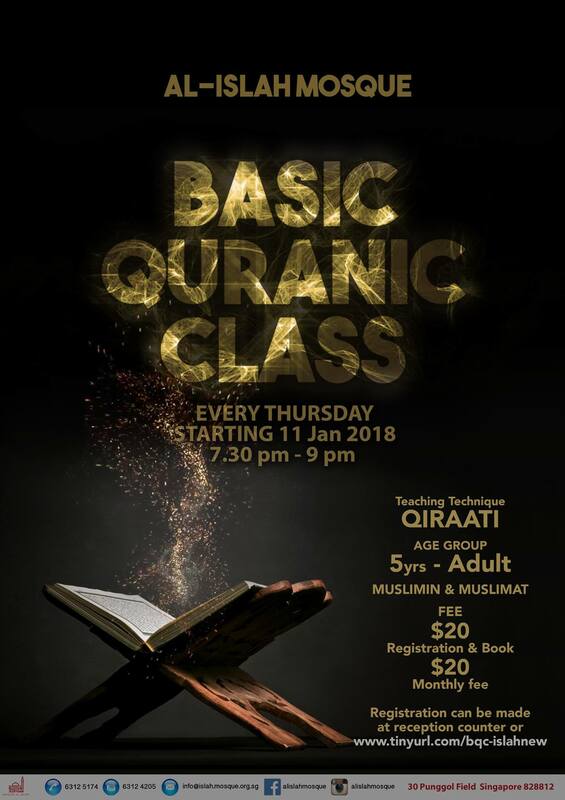 Participants will enhance their knowledge, skills and technique in Azan (both theory and practical). 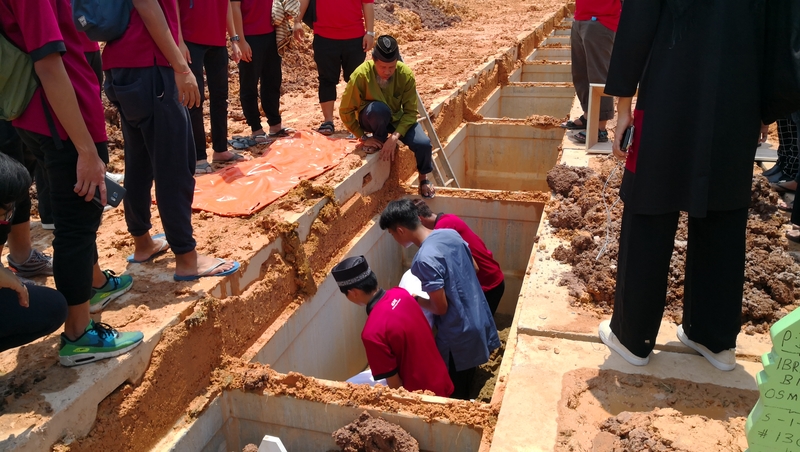 Participants will learn the basic technique of performing solat (both theory and practical). 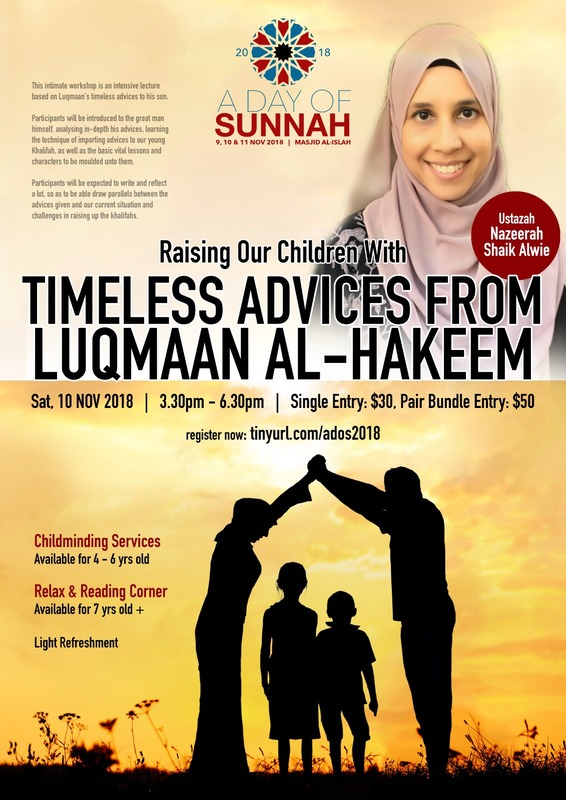 This intimate workshop is an intensive lecture based on Luqmaan's timeless advices to his son. 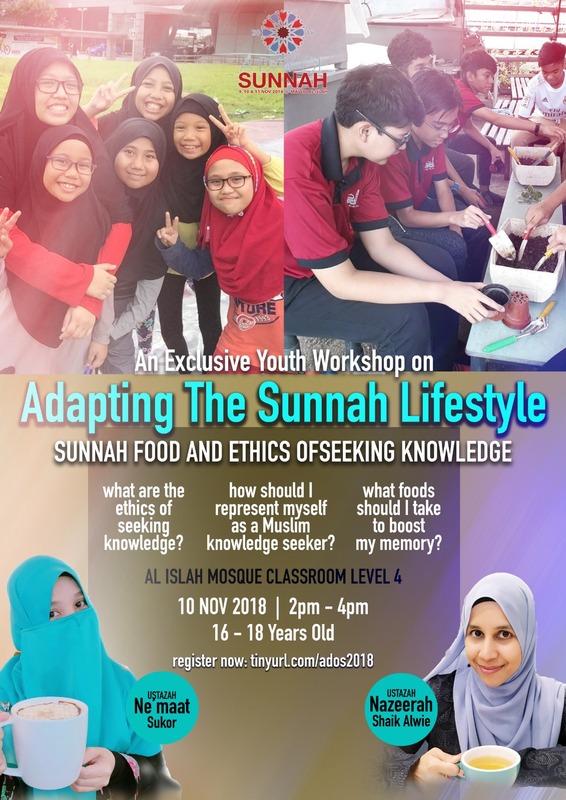 Participants will be introduced to the great man himself, analysing in-depth his advices, learning the technique of imparting advices to our young Khalifah, as well as the basic vital lessons and characters to be moulded unto them. Participants will be expected to write and reflect a lot, so as to be able draw parallels between the advices given and our current situation and challenges in raising up the khalifahs. 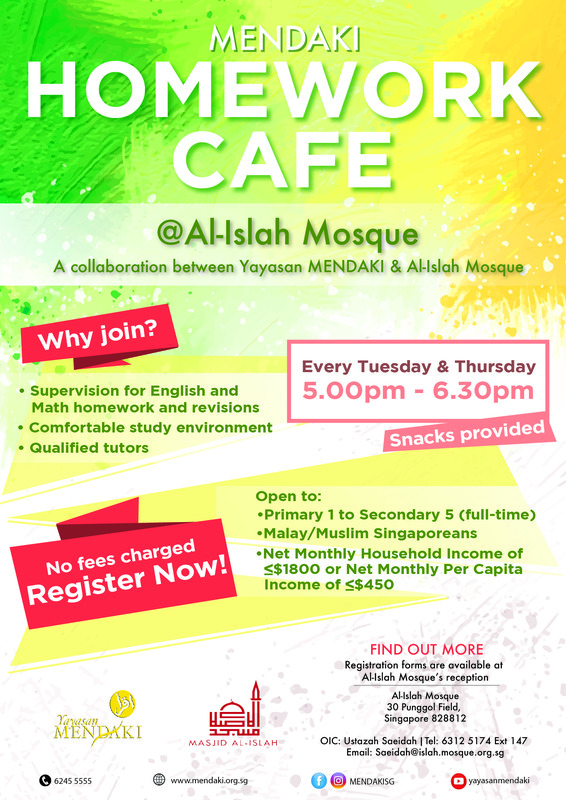 Participants will be learning the Sunnah way in studying as well as types of Sunnah foods to boost the brain. 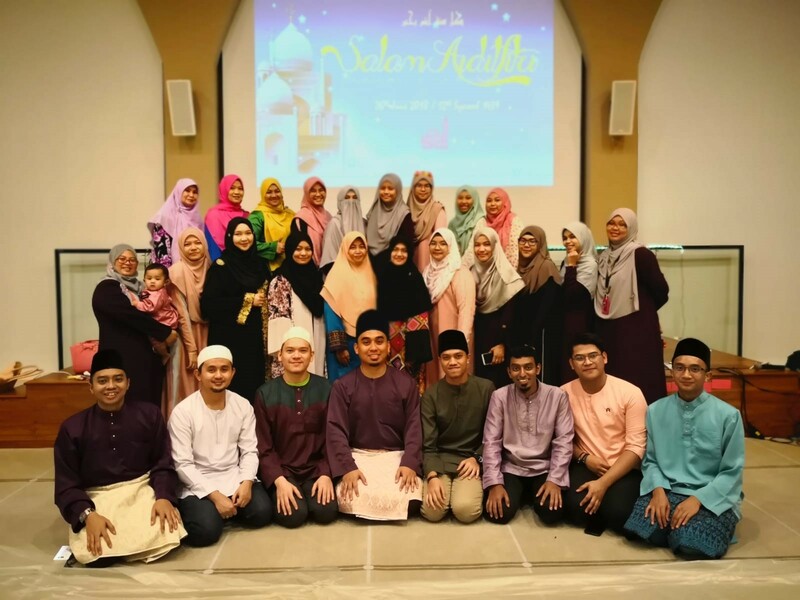 They will be doing a simple activity to be applied daily life to boost the participants self-esteem as Muslim knowledge seekers. At Al-Islah Mosque, we wanted to create that flexibility for people who are working and on the same time wanted to learn the Holy Quran. 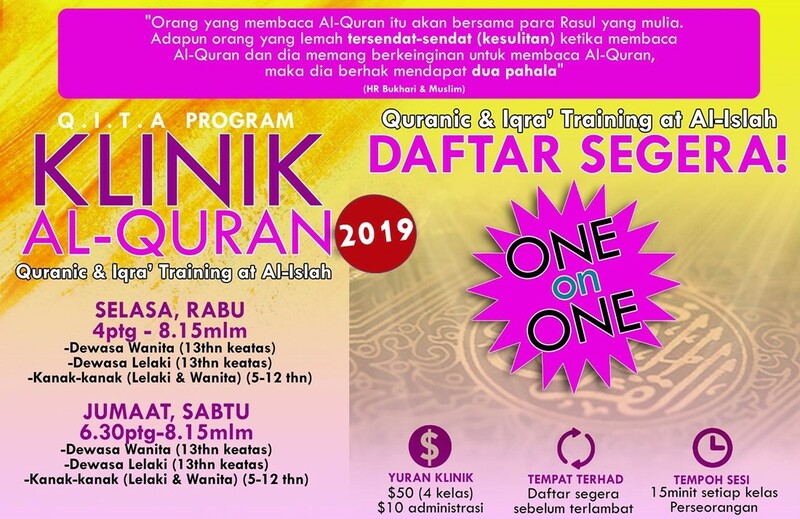 As we see, a one on one session will be more beneficial than a class based session, we come up with Clinic Al-Quran to cater to the needs of the working environment here in Singapore. 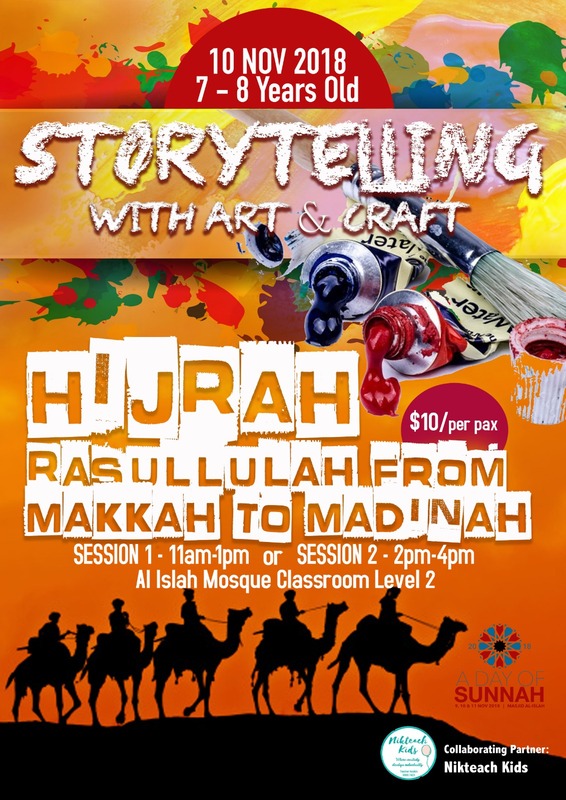 Participants need to come to the mosque and book their session on the day and time given. Come down to our Mosque Office to book your slots NOW! 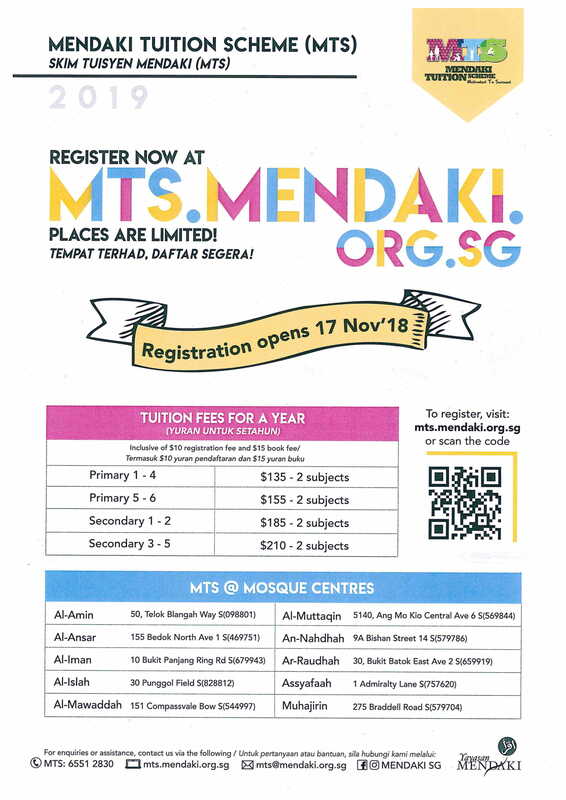 Mendaki Tuition Scheme(MTS) is now at Al-Islah Mosque. 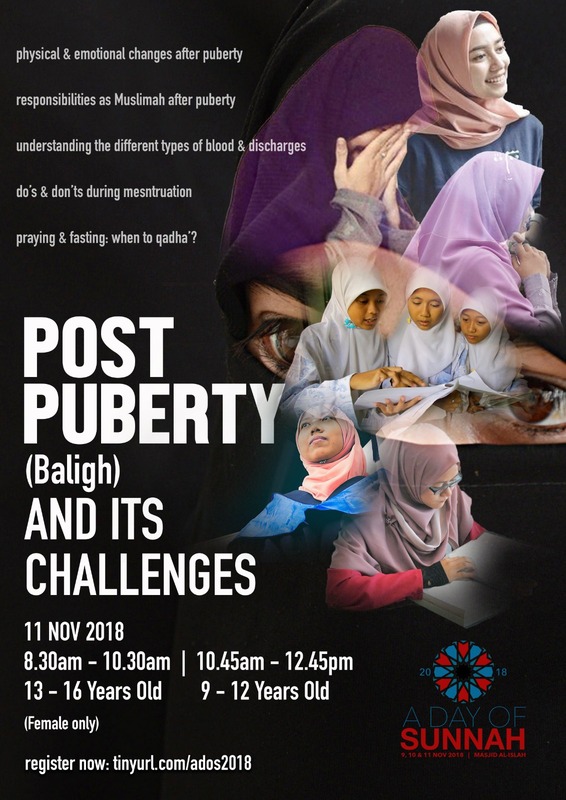 REGISTRATION OPENS on 17 NOVEMBER 2018 ! 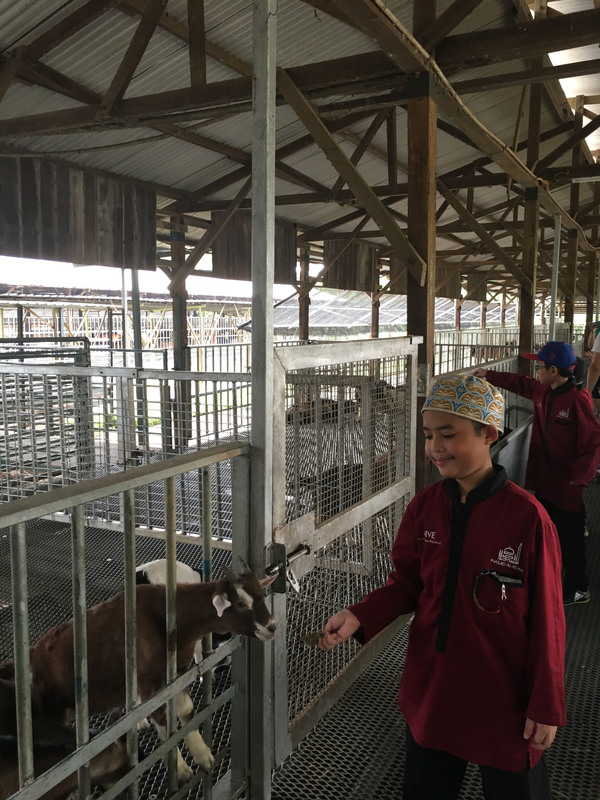 The programme aims to provide a conducive environment for Malay/Muslim students to complete their school work. 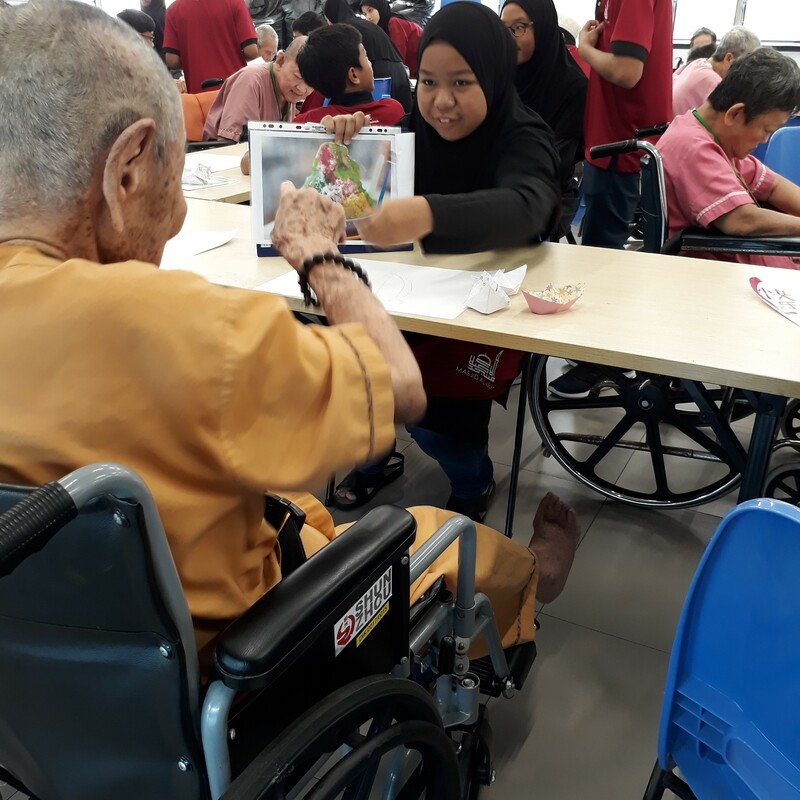 Together with community partners such as the community centres and mosques, the MENDAKI Homework Cafe aims to reach out and extend academic support and/or assistance to needy Malay/Muslim students. The scheme is open to primary and secondary students and cover the English and Mathematics subjects. - Applicant must be a full-time student attending a Government School, Government Aided School, Autonomous School, Independent School and Madrasahs. 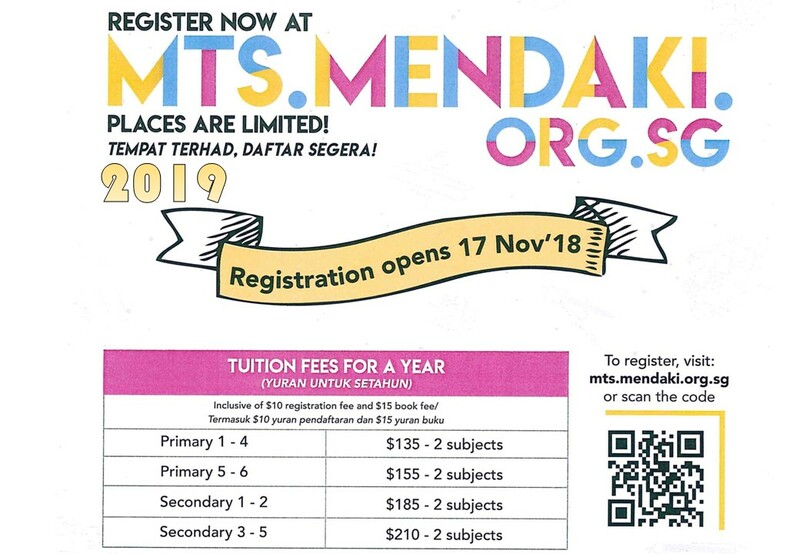 -The applicant must not be attending tuition at any one of MENDAKI’s tuition programmes or any other tuition programmes supported by MENDAKI such as Self-Help Groups (SHG) tuition programmes, and community tuition programmes run by RCs/CCs. 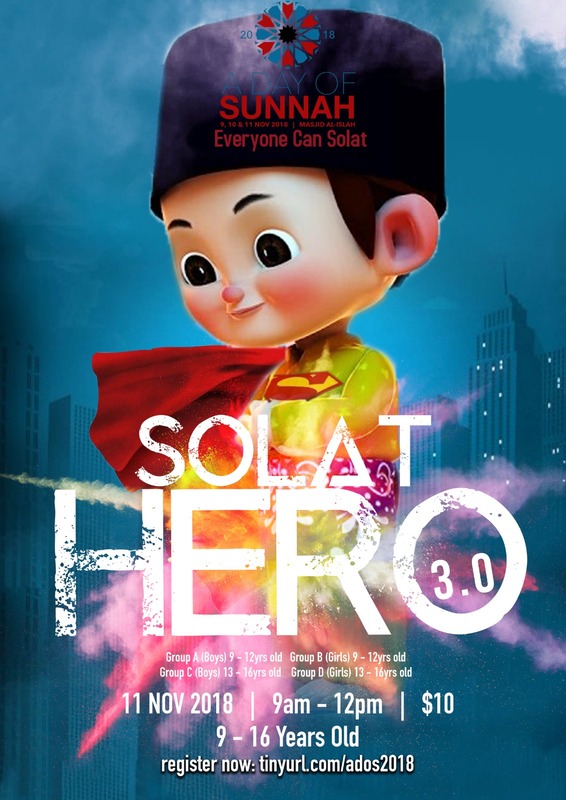 Send supporting document to saeidah@islah.mosque.org.sg AND indicate child name at the email's subject matter. Notes and light refreshments will be provided.